Founded in 1989, the Medical-Biological Research-Industrial Complex CYTOMED is one of the first Russian pharmaceutical manufacturing companies to have entered the market in Russia. For more than 20 years, we have been creating medical products by using the experience and knowledge of the best researchers, pharmacists and physicians. Cytomed was one of the first companies to conduct research in Russia in the fields of biochemistry and pharmacology, as it was to manufacture and promote original Russian medications on the market. All of our medications are innovative medicinal drugs that render efficient aid to people and improve their quality of life. We are confident in the effectiveness and safety of our products, as we subject our medications to the most rigorous clinical testing trials. This process ensures our current and potential customers that trusting our products is the right choice. Cytomed pays great attention to the quality control of the raw materials used in manufacturing and production. 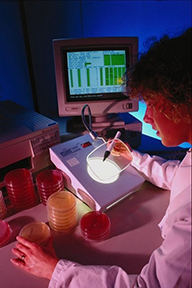 Our production facilities include a thoroughly tested Control-Analytical Microbiological Laboratory, which is coordinated by our Quality Control Department. In accordance with the Company's Mission, we constantly seek out new opportunities in the development and improvement of our manufacturing facilities, as well as the implementation of the newest technologies in industrial and analytical equipment. This enables the Company to turn out medications that fully comply with the standard international regulations of the field. As a means of attaining the maximum effectiveness of our products, we actively cooperate with specialists from the Research Institute of Experimental Medicine of the Russian Academy of Medical Science, the S.M. Kirov Military-Medical Academy, the I.P. Pavlov St. Petersburg State Medical University, and the St. Petersburg Medical Academy of Postgraduate Education. All of our medications have been created in cooperation with such scientists as Academician of the Russian Academy of Medical Sciences F. I. Komarov, and Corresponding Members of the Russian Academy of Medical Sciences Professor G. M. Yakovlev, and Professor V. S. Smirnov. The manufacturing facility of the closed joint-stock company MB NPK Cytomed is a modern complex situated in St. Petersburg on nearly 1,200 square meters, with workshops for the production of unguents, creams, suppositories, and pills. Medicinal drugs are manufactured with modern and advanced technological equipment from high-quality raw material on the basis of modern technologies. In 2010-2011-2012, multi-aspect methods will be continued for the extension of the research both in clinics and in laboratories.